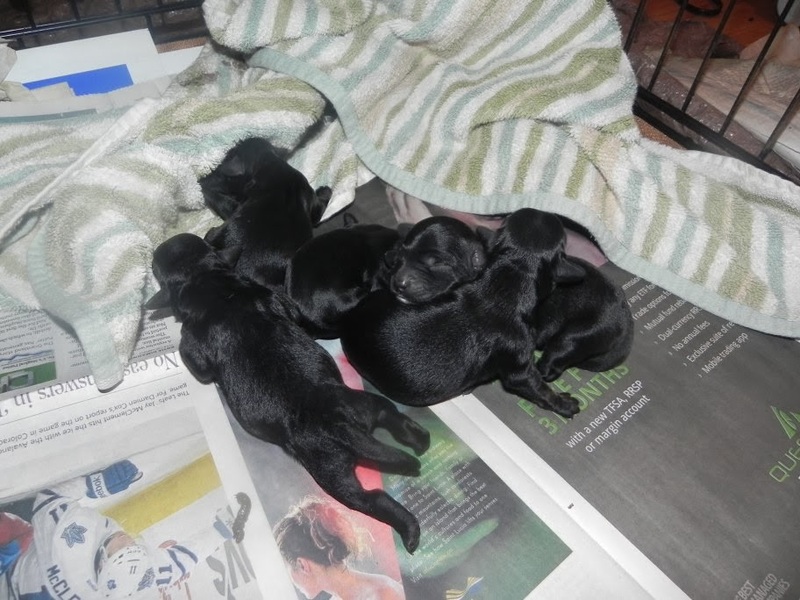 Scrooge's Dog Blog: Guess what?! I do had a surprise!!! Yesterday I do feeled funny all day long and She do not liked to leaved me home all alone while She do beed at working so She do called He and telled He He might should get in He's van and come home to taked care of me. And He do comed home to taked care of me, too! I do be quite cranky and demanding - even for me! - all day long. And then it do getted to be bedtime and I do not thinked She will liked to sleep!! I do thinked She will liked to stay up all night to helped me to had we surprises! Look!! I do had more babydogs! 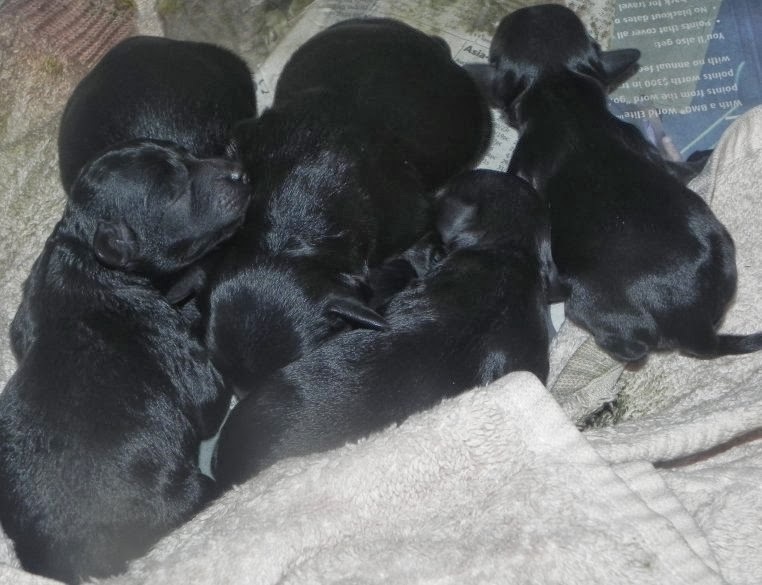 I do had five black babydogs and I do liked they very much except one of they do be too fat and that babydog do maked me to yell very loud when it do comed out! That do not be good, to had big fat babydogs. Little do be much more better! I do be a good momma dog but She do sayed I do better enjoy this time because there will not be no more babydogs after these ones. She do sayed Aswell and me do be retiring and we will had to get fixed. I do thinked She do be quite silly! I do not be broked!!!! That do be very essiting news! I do likes babydogs very very much! You are so lucky. Congrats!! It do be a good idea you ge"fixed"... All these puppies takes its toll on you!